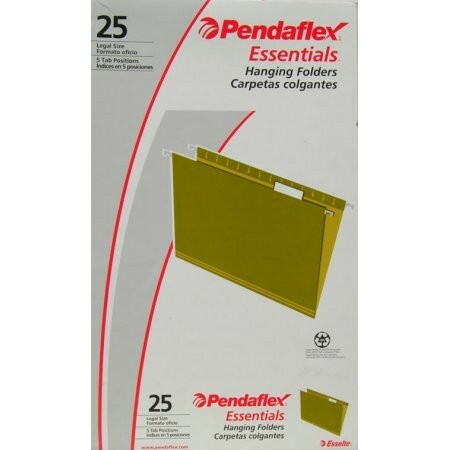 This Hanging File Folder is designed to help keep you organized! A bold color makes it stand out nicely so it is easy to locate when you need it. The 50 percent recycled Pendaflex file folder, 25-count, comes with tabs and blank white inserts so you can label them all individually. 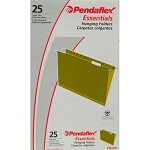 With a durable construction, they will hold your papers for a long time to come. 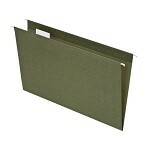 They are even equipped with crimped steel hanging rods so you can put them right in your filing cabinet!